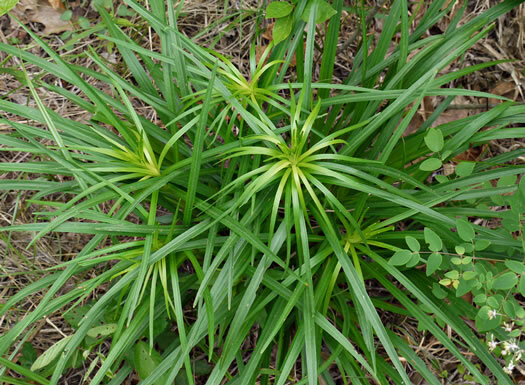 Leaves 3-5 veined. 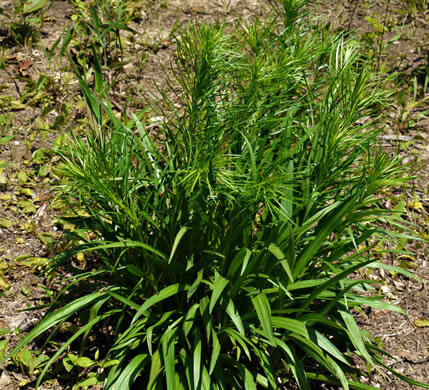 Basal & lower cauline leaves 4-10(20)mm wide, per Weakley's Flora. 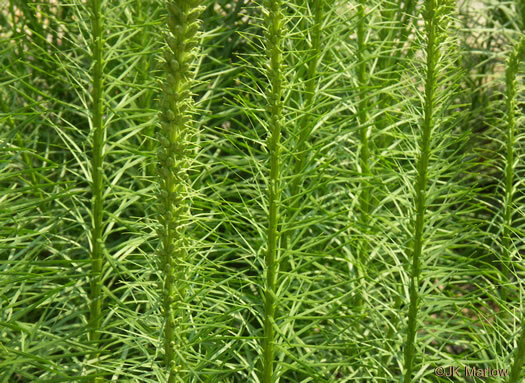 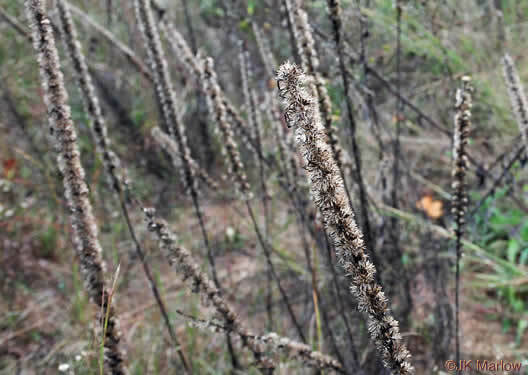 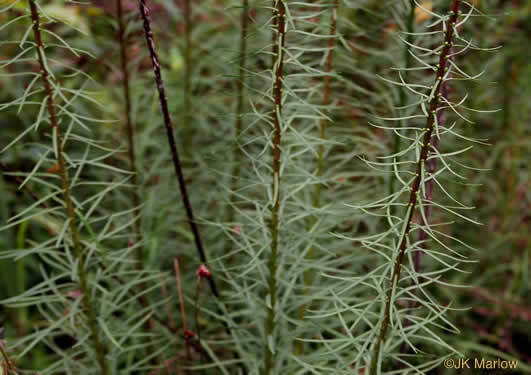 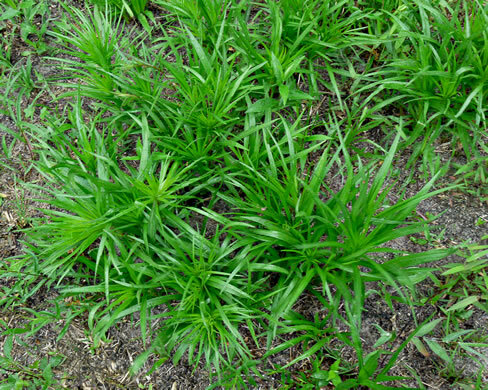 Leaves narrowly linear, about 16" long at the plant's base, shorter upwards, per Atlantic Coastal Plain Wildflowers. 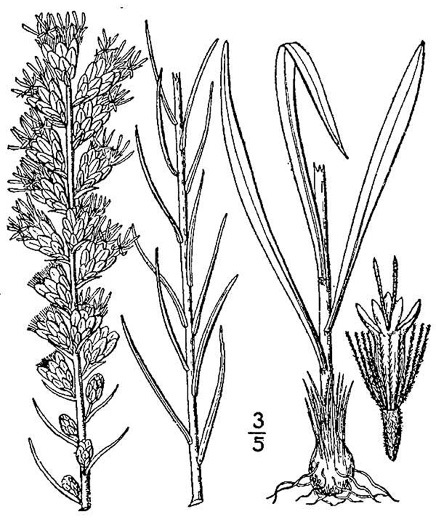 Flower heads in a spiciform arrangement; (4)6-8(12) florets per head, per Weakley's Flora. 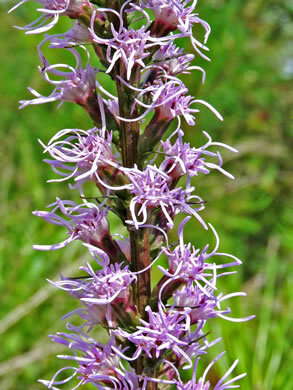 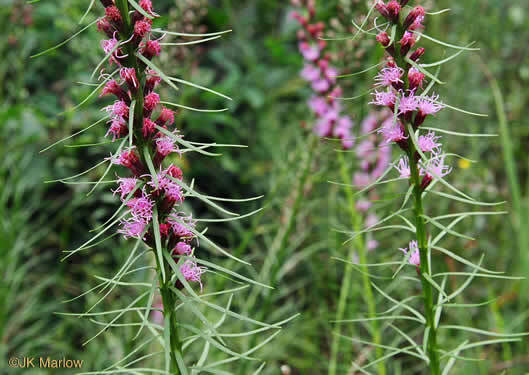 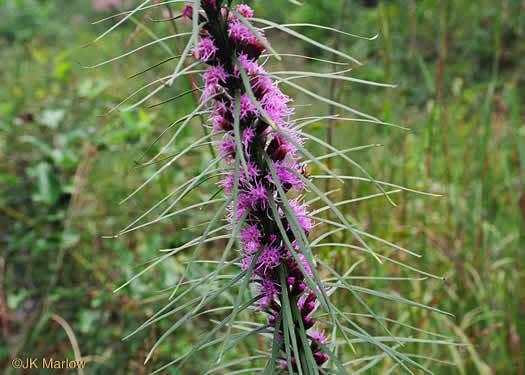 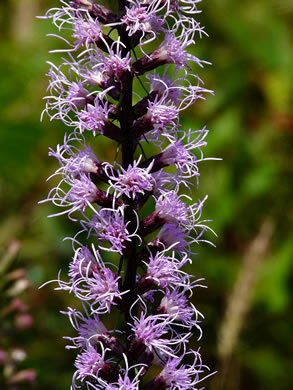 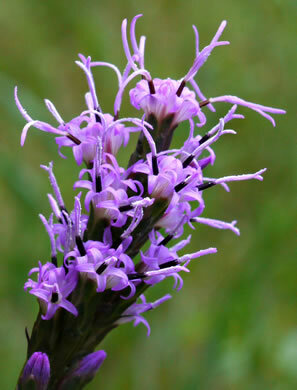 Unlike many plants, Liatris flowers downward from the top [determinate], per Book of Field and Roadside. 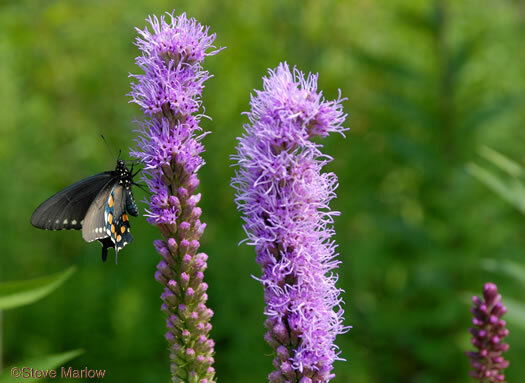 Chief pollinators are long-tongued insects, per Book of Field and Roadside. 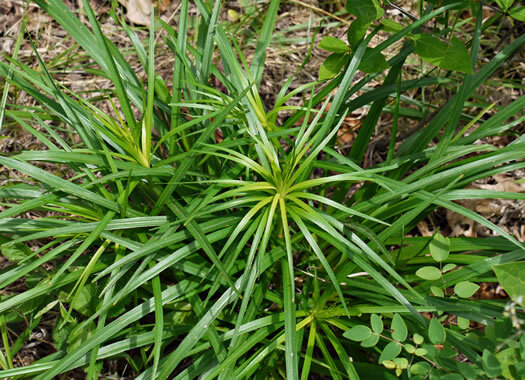 Cauline leaves usually gradually reduced in size distally, per Weakley's Flora. 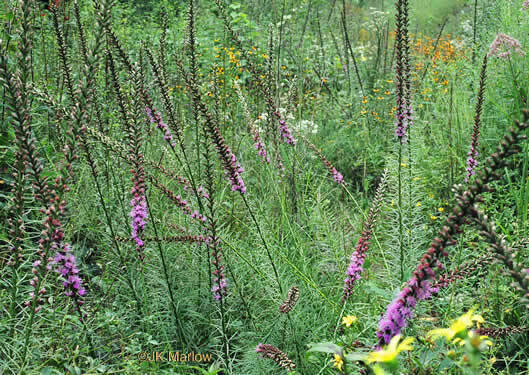 Narrow, leafy, typically unbranched stems may reach heights of 6' or more, per Atlantic Coastal Plain Wildflowers.